Samuel Mazzuchelli (1806-1864) was a highly unusual pioneer, an Italian priest who dedicated his life to bringing civilizing influences to the American West in the 19th century. Mazzuchelli was born in Milan, Italy, into a family of wealthy bankers who moved in the financial circles of the Lombard capital. Instead of going into the traditional family business, he joined the Dominican order in 1823. It was not long before he left for the American missions in 1828, and he was ordained to the priesthood in the Cincinnati Cathedral by the Dominican bishop, Edward Fenwick. Mazzuchelli's talents were extensive. Not only was he a theologian and missionary, but a very competent architect, who designed the county courthouse at Galena and the first capitol of Iowa. He died at the age of 58 from exposure received while traveling through a blizzard to minister to a dying parishioner. 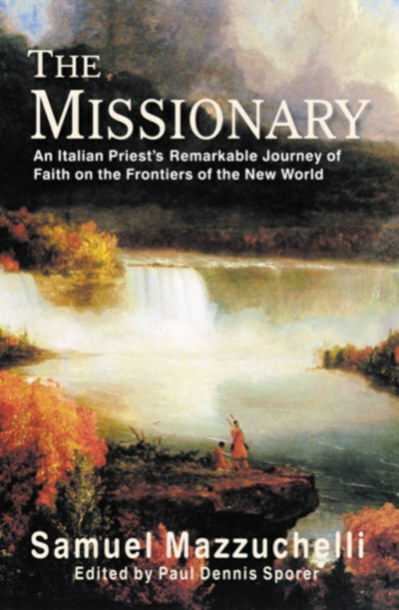 His brilliant and highly informative memoir, The Missionary, is on one level, about the building of the Catholic Church in the western territories of America. But another level, it reveals the feelings, ambitions, fears, and frustrations, of a missionary working usually alone in a foreign culture, to bring Christian thought and inspiration to ordinary people.